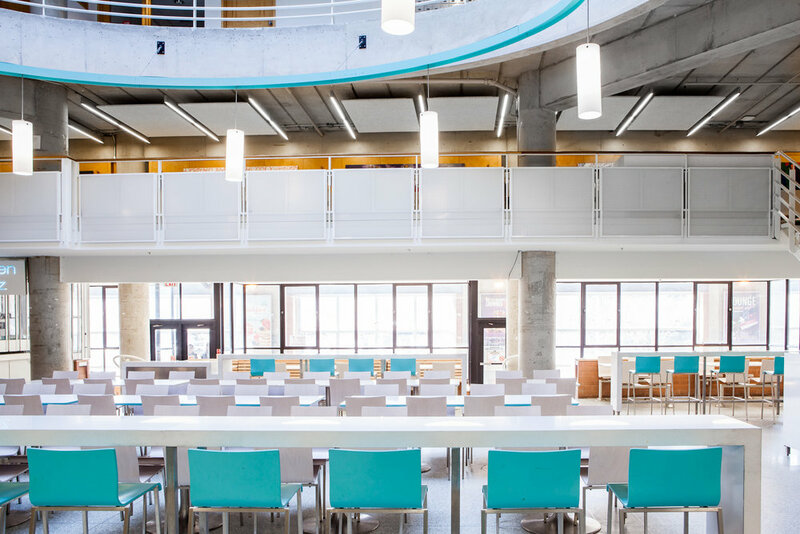 The 200,000 square foot York University Student Centre serves 10,000 students a day. 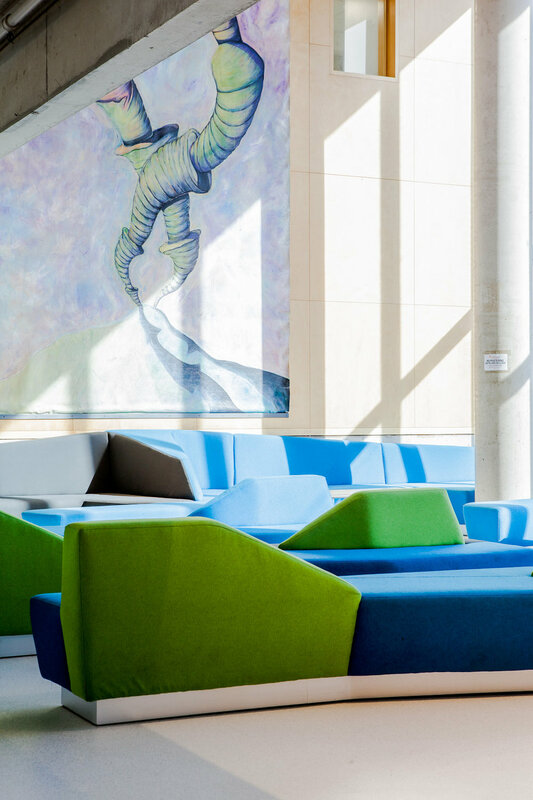 Commissioned to re-invigorate the interior of the striking 1991 modern York University Student Centre by Diamond Schmitt Architects, the renovation was undertaken not only to modernize key areas of the Student Centre, but to return the building to its former simplicity and architectural language. 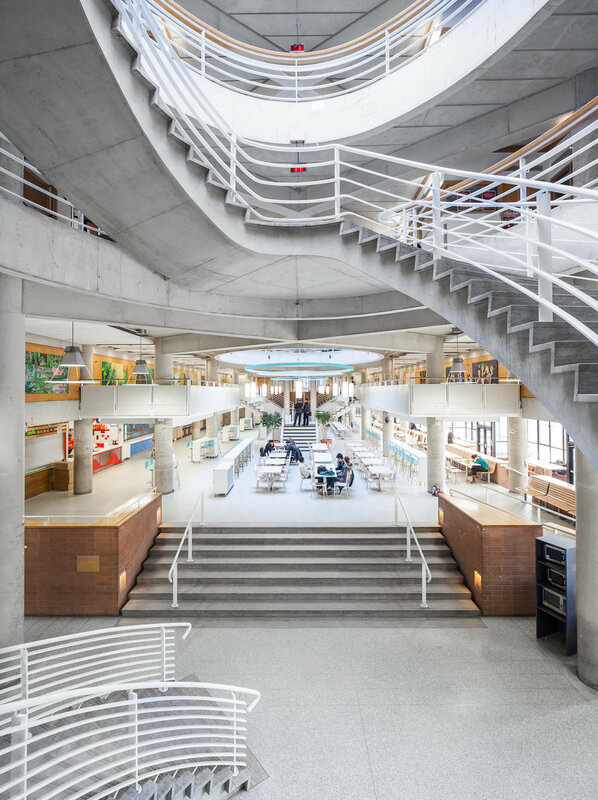 The commission included several projects: the food court, corridors, Student Lounge areas, Executive Offices, meeting rooms and club rooms, and renovating York's 'Underground' bar and commercial kitchen. In joint venture with David J. Agro, Architect.